California has joined the list of states that are working on legislation to legalize and regulate sports betting statewide if New Jersey wins its Supreme Court case. “Whether we like it or not, Californians are already betting on sports through illegal and often unscrupulous websites in foreign countries. It is time to bring this multibillion dollar industry out of the shadows.” Gray said in laying out his proposal. 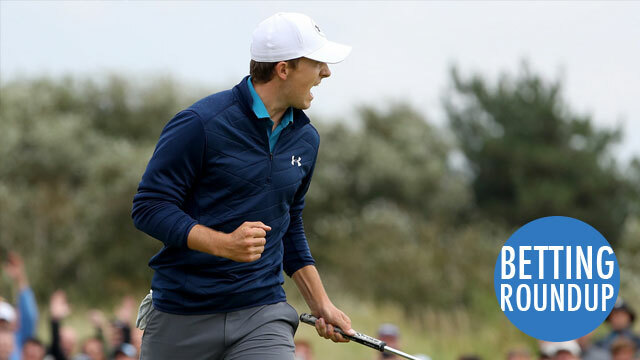 Jordan Spieth won the British Open last weekend after opening as a favorite for the tourmament. Spieth opened as a co-favorite with Rory McIlroy to win the PGA Championship. Westgate Las Vegas SuperBook installed Spieth at 8-1 to win the title (and take home the career Grand Slam), along with Rory McIlroy at the same odds. Spieth had a 3-shot lead entering the final round at Royal Birkdale in Lancashire, England, but lost it on a bizarre 13th hole in which he had to take an unplayable lie and hit a shot from the driving range. He finished the championship by going 5 under par in the final five holes. Dustin Johnson opened at 10-1 to win the PGA Championship, with Rickie Fowler and Jason Day at 15-1. Legal Sports Report outlined why the daily fantasy sports industry isn’t knocking on death’s door — contrary to the opinions of pundits and writers. That’s when the industry got turned on its head in the wake of a bombardment of TV commercials from DraftKings and FanDuel, the infamous data leak and legal action from New York’s attorney general. Nearly two years later, the industry is still here. And the possibility of legal sports betting in the US is on the horizon, if New Jersey prevails in its USSupreme Court case. The future of DFS as currently situated is still uncertain — that’s especially so with the planned DraftKings-FanDuel merger being scrapped. The possible emergence of sports betting is the latest reason being bandied about toforecast the end of the DFS industry. But it’s doubtful the industry is just going away, silently into the night. Why?